Using Betty Crocker All-Purpose Gluten-Free Rice Flour Blend as your base, you’ll combine quick bread basics such as oil, eggs and sugar with xanthan gum. For mouthwatering results, flavor your shredded zucchini mixture with ground cinnamon, vanilla extract and the chopped nuts of your choice. 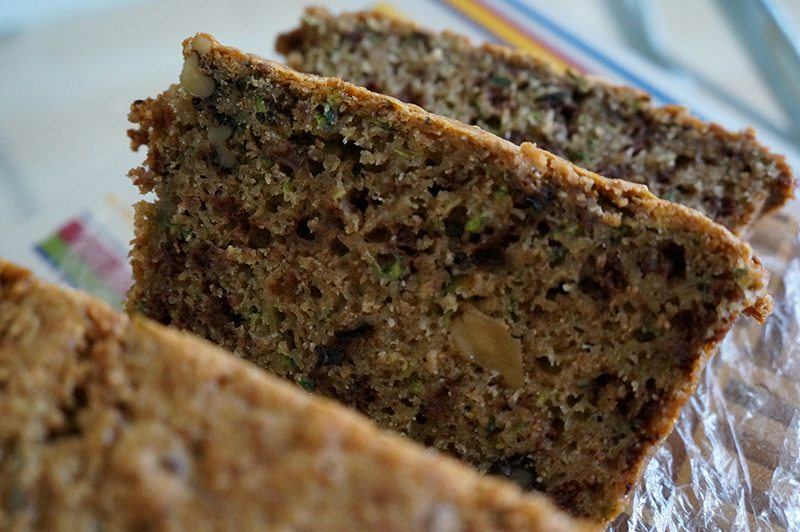 For this recipe, you’ll mix GFJules Gluten-Free Flour with flaxseed meal, toasted pecans and shredded zucchini. Don't forget to toss in cinnamon, almond extract and cane sugar, too. If you like to turn everything into a sweet treat, feel free to drizzle some sugary icing on top. This dairy-free recipe makes use of gluten-free oat flour, tapioca starch and xanthan gum alongside orange juice, coconut milk, brown sugar and cinnamon. 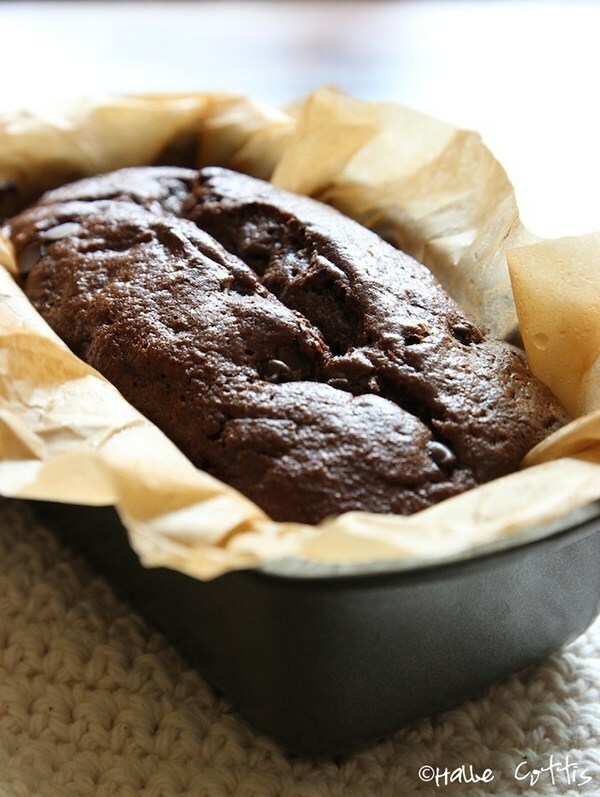 For best results, bake the dough in a glazed ceramic loaf pan, which will help ensure even heating. 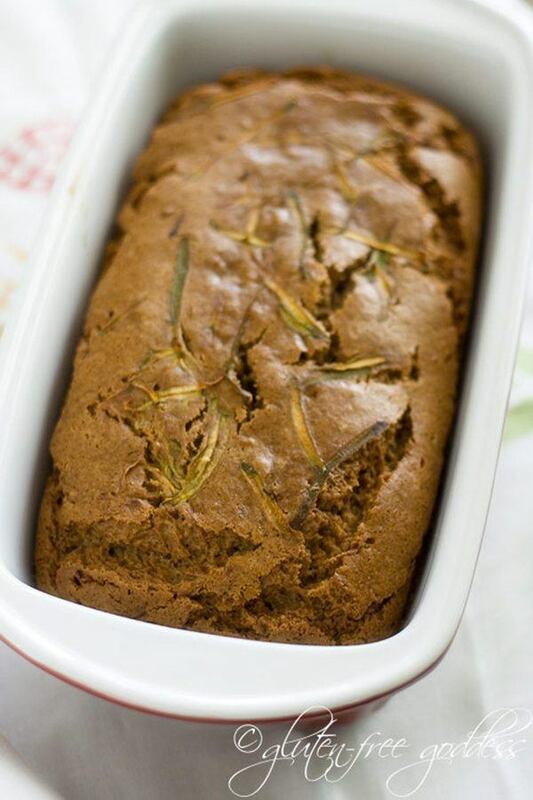 Featuring brown rice flour, sorghum flour, tapioca flour, sweet rice flour, potato starch, cornstarch and almond flour, this vegetable-based bread has a light and tender texture worth raving about. If you're serving this bread for dessert, Alison recommends adding some cream cheese frosting on top, which is one of the best ideas ever. 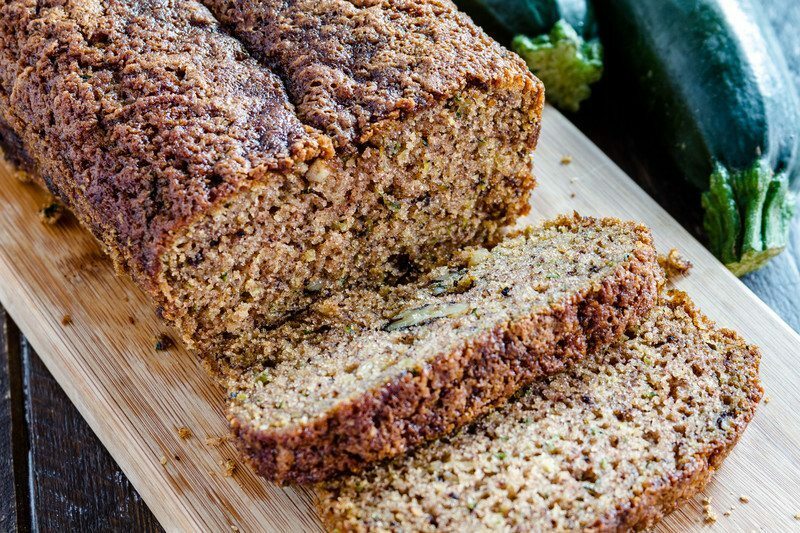 Coconut flour is the perfect backdrop for this tasty zucchini bread made with raw honey, a mashed banana and pasture-raised eggs. The paleo-friendly, GAPS-approved baked good is a responsible yet delectable choice nearly everyone can get behind. This vegan side will turn tough critics into believers. For the bread, you’re going to use applesauce, apple cider vinegar and light olive oil in conjunction with brown rice flour, gluten-free oat flour, tapioca flour and guar gum. If you need to avoid oat flour, go ahead and use part millet flour and part sorghum flour, which will still give you a fabulous end product. Mix Better Batter All-Purpose Flour Mix and grated zucchini with semisweet chocolate chips, granulated sugar and light brown sugar. Eggs, oil, baking soda and baking powder will do the rest of the work and you’ll love the finished goods. 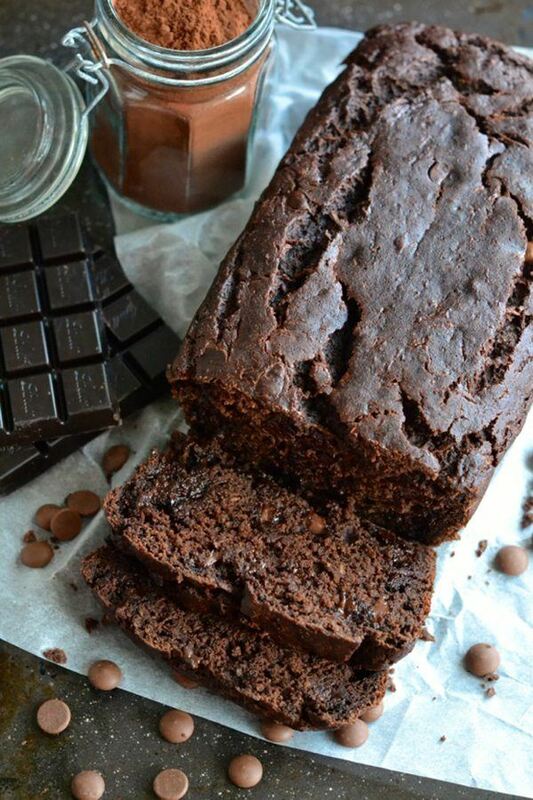 This is a moist bread that can double as dessert. To make the recipe, you’ll use molasses, brown sugar and chocolate chips in conjunction with King Arthur Gluten-Free Flour and xanthan gum. The sweet yet veggie-packed side is irresistible. 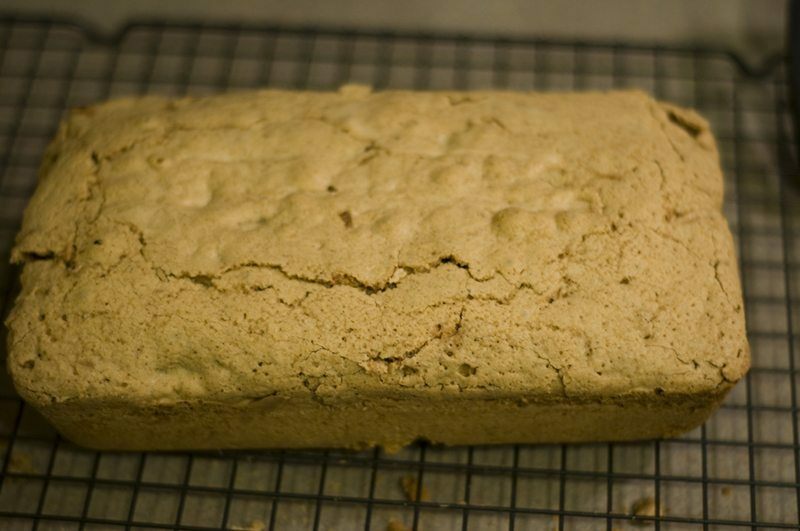 When you merge almond meal and brown rice flour, you get an amazing base for a quick bread. 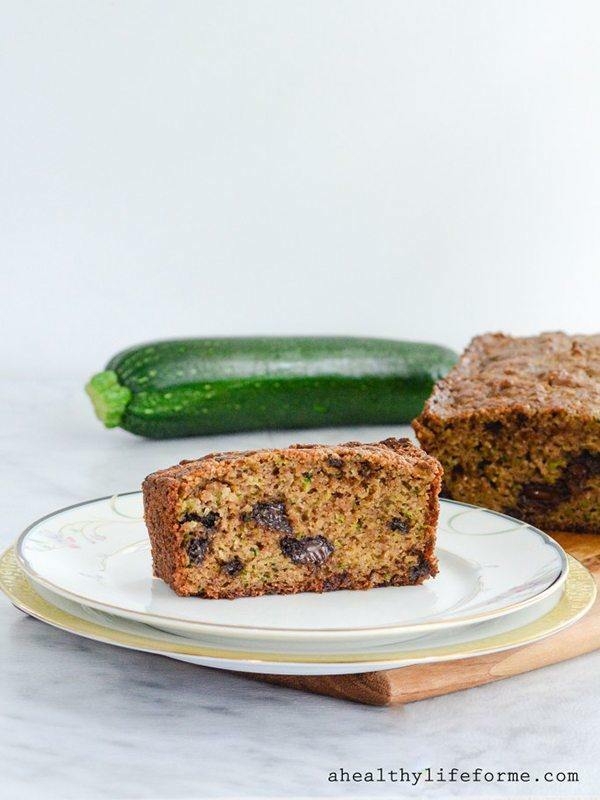 The addition of maple syrup, vanilla almond milk and dark chocolate chips will make your zucchini-based snack taste sugary and delicious. You can’t beat that! This fun grain-free, dairy-free recipe can accommodate eaters with all sorts of diet restrictions. You’ll combine almond flour, tapioca flour and coconut flour with coconut oil, maple syrup and Enjoy Life Chocolate Chips. 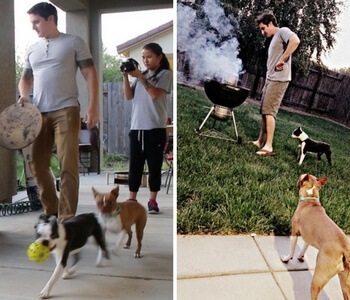 The end product is likely to be something everyone will love. Teff flour, xanthan gum and ground flaxseeds give this egg-free batter a great start. 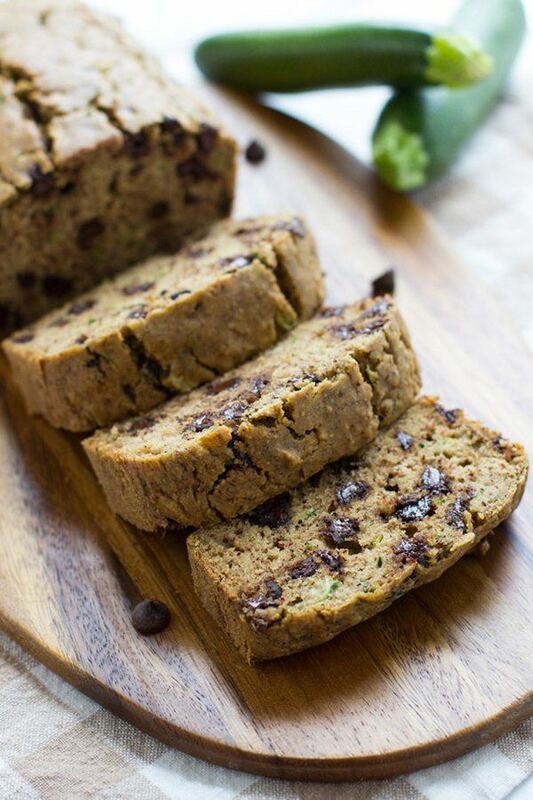 Of course, a hearty helping of maple syrup and vegan dark chocolate chips take the otherwise-savory bread to the next level. Remember to add cinnamon and chopped walnuts into your dry mixture before you fold in your wet ingredients including your grated zucchini. 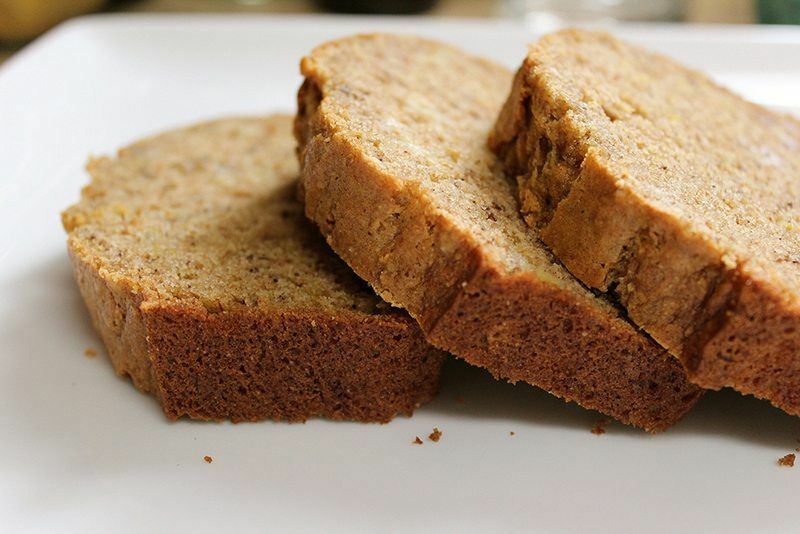 Using millet flour, sweet rice flour and potato starch alongside cardamom, cinnamon and nutmeg is the perfect way to get a great wheat-free spice bread. 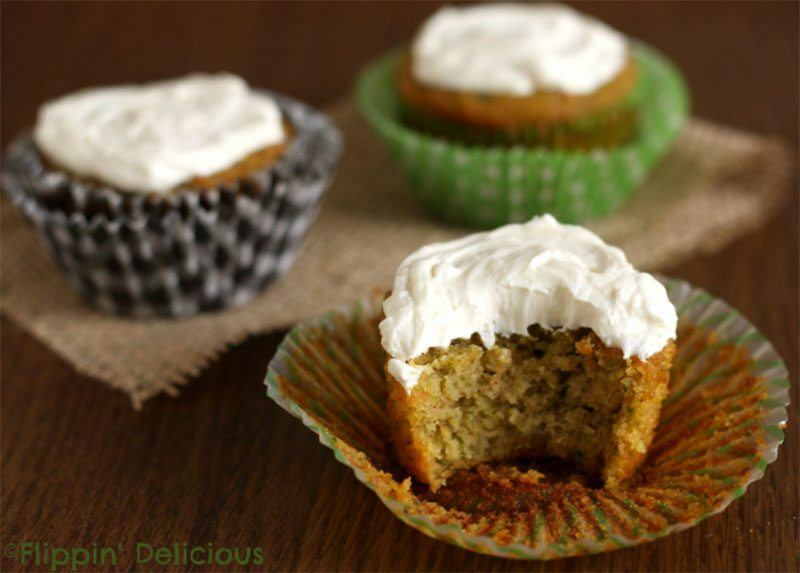 In addition to grated zucchini, you’ll mix in psyllium husk and Greek yogurt for a consistency that’s light and moist. The key to this fantastic recipe is throwing pumpkin pie spice into your dry ingredients, which include brown rice flour, white rice flour, sweet rice flour, tapioca flour and xanthan gum. As desired, you can also throw in half a cup of your favorite chopped nuts. Incorporating Bob's Red Mill Gluten-Free All-Purpose Baking Flour, this recipe calls for ground cloves, ground cinnamon, raisins and chopped walnuts. The flavorful and hearty result is sure to put a smile on your face during snack time. This grain-free, dairy-free pick features almond flour and coconut flour as well as allspice and ground cinnamon. 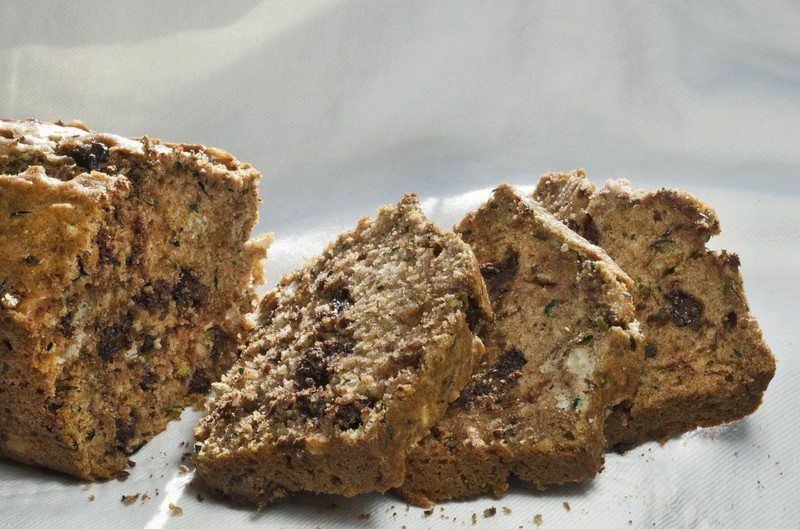 Coconut sugar, almond extract, Himalayan sea salt, lemon zest and sunflower seeds further enhance the yummy factor of this baked zucchini bread. Using a blend of brown rice flour, sweet white sorghum flour, potato starch, tapioca flour, cornstarch and xanthan gum, you can create a trusty foundation that lets your pumpkin pie spice shine. For a smooth texture, blend chopped zucchini in your food processor with your other wet ingredients. Loaded with cocoa powder and a heaping cup of dark chocolate chips, this dessert-like zucchini batter definitely packs a flavorful punch. 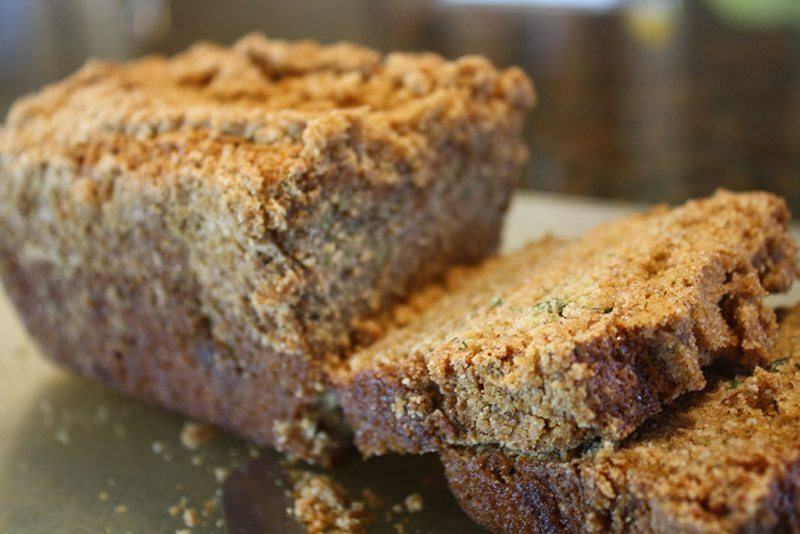 Marie uses Bob's Red Mill Gluten-Free All-Purpose Baking Flour for the base and she adds in coconut sugar and applesauce for extra sweetness without having to resort to refined sugars. Although instant coffee powder is a suggested ingredient, you can simply omit the caffeinated pick according to your preferences. The star ingredient of this grain-free recipe is a chocolate hazelnut butter blend from the brand Justin’s. If you need a paleo option, you can make your own substitute by combining almond butter, maple syrup and cocoa powder. Once you add in shredded zucchini, eggs, vanilla, maple syrup, apple cider vinegar and mini chocolate chips, you’ll be good to go. 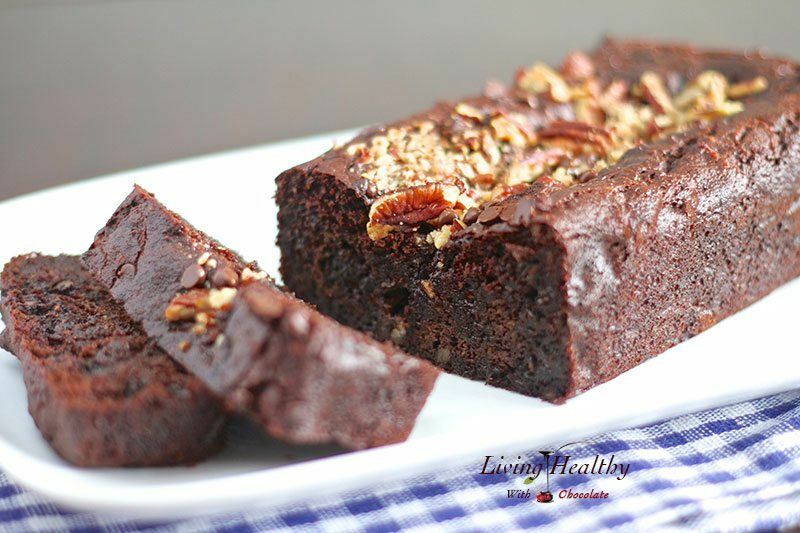 Featuring almond flour, cacao powder, Greek yogurt, raw honey, pecans and chocolate chips, this is one paleo recipe that is sure to please a crowd. For optimal results, make sure to finely grate your zucchini and don’t overmix the batter. If you’d like to, feel free to throw some extra pecans on top of your loaf before placing it in the oven. 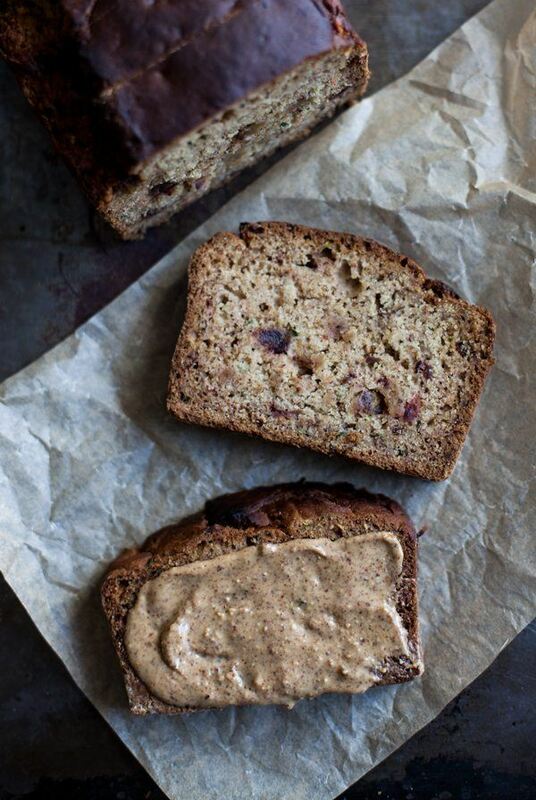 Unsurprisingly, the combo of cacao nibs and cocoa powder works wonders for this decadent bread. 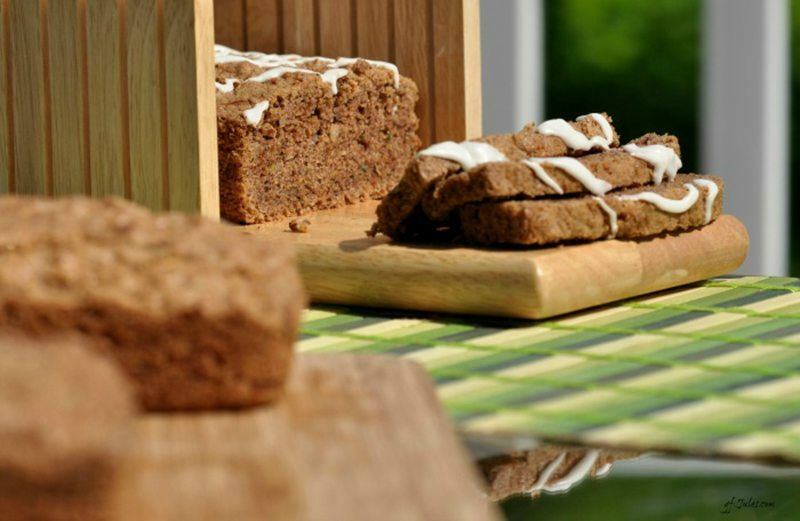 You’ll also use teff flour, xanthan gum and flax eggs made from water and ground flax seeds. If you like chopped walnuts, toss some of those into your batter as well. 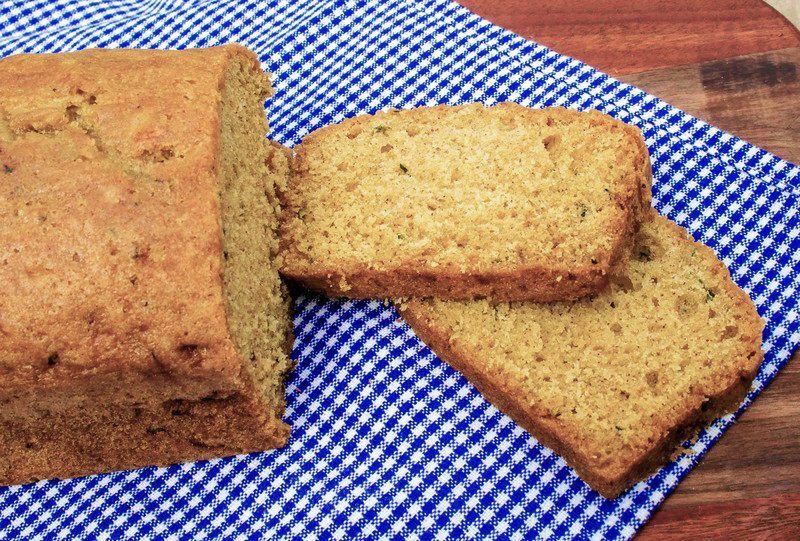 After shredding a small apple and a medium zucchini, you’ll stir both into your quick bread batter containing Gluten-Free Bisquick alongside the basics of eggs, sugar, oil and spices. The only problem with the soft and fragrant result is the fact that it has to bake for nearly an hour before it’s ready to be devoured. Mix together almond flour and brown rice flour for a nutrient-dense foundation that nicely complements the health-conscious combo of shredded carrots and zucchini. 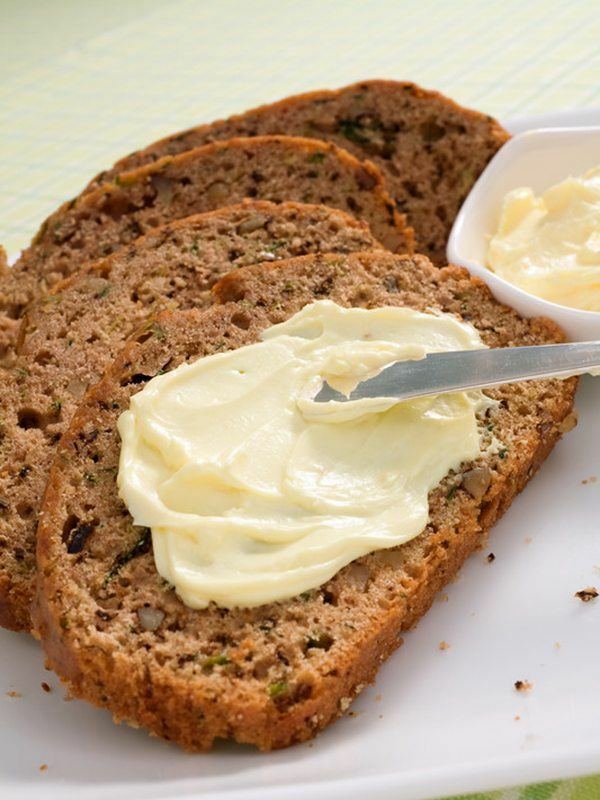 If you want a satisfying yet diet-friendly frosting, stir a little honey into some softened cream cheese. 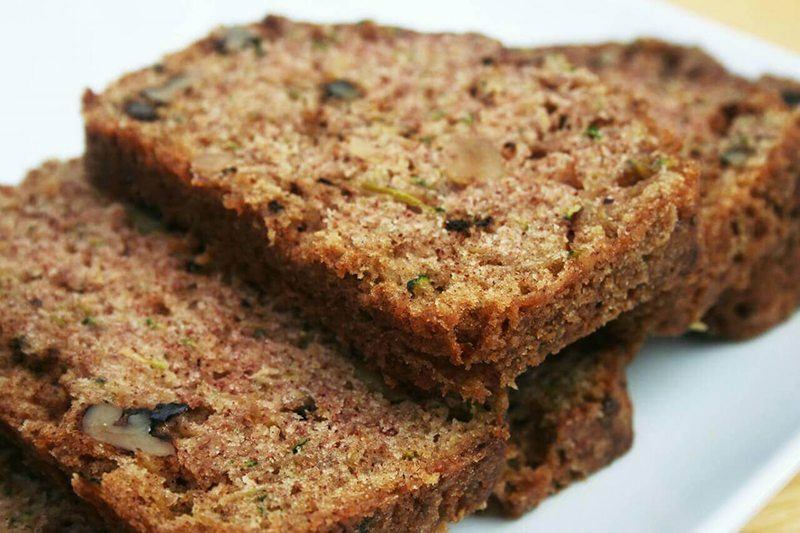 Making use of a gluten-free all-purpose flour blend from a brand like Cup4Cup or Bob’s Red Mill, you can whip up a batch of this scrumptious veggie-and-nut bread. When deciding on what pistachios to buy, keep in mind that a salted and roasted option will greatly enhance the overall flavor of your baked good. Whether you’re looking for a nutritious breakfast or a yummy snack, this egg-free recipe is amazing. You’re going to blend medjool dates, ground flax meal and Bob’s Red Mill Gluten-Free All-Purpose Flour with ginger, apple cider vinegar, maple syrup and almond milk. 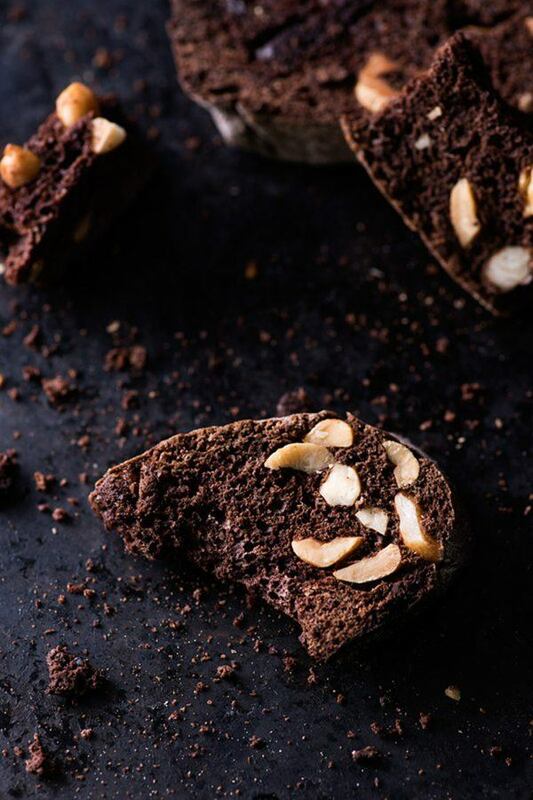 If you want a little more pizzazz regarding your baked treat, go ahead and smear some nut butter on the top of each bread slice when eating. Great round up! 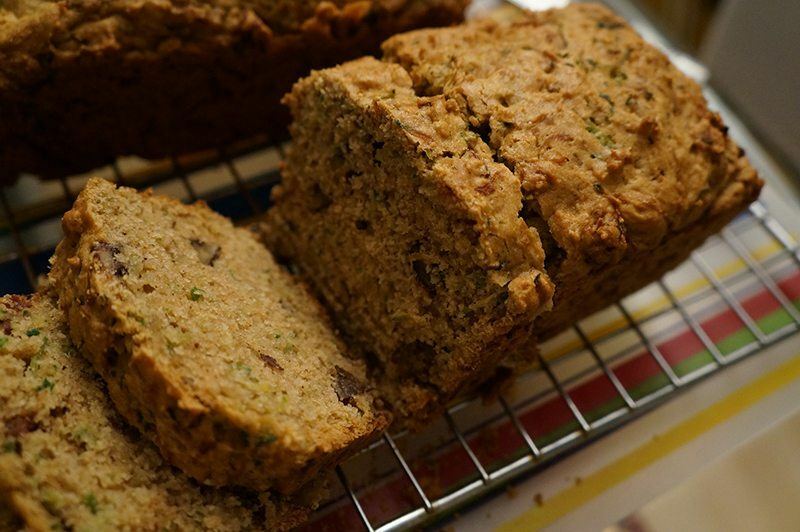 Love my zucchini bread, I always have a loaf in the freezer. 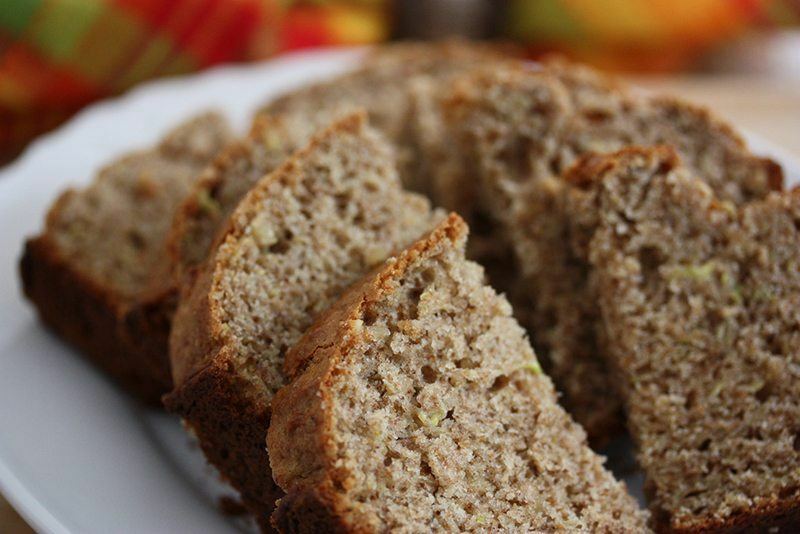 Thank you for including my gluten free + paleo zucchini bread! It was our pleasure Amy! 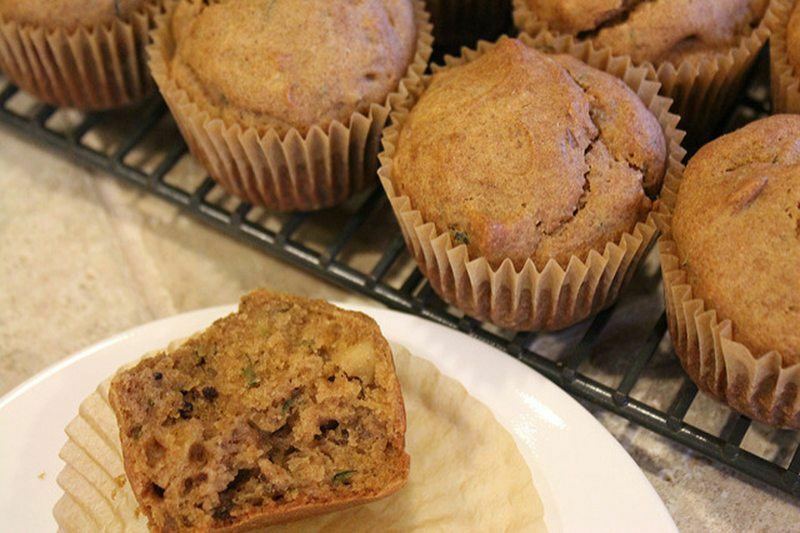 As the paleo community grows, access to delicious recipes like yours becomes more important! I don’t actually own any rcipe books because there’s so much to choose from online. Oh my goodness, I am literally drooling! 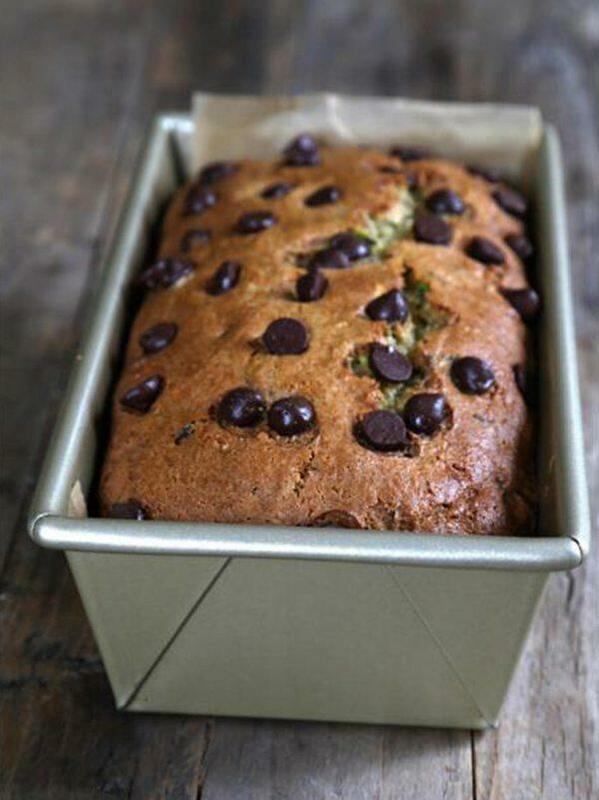 I love zucchini bread and I have not tried to make it since going gluten free. I am thrilled to have such a complete list of recipes here with both pre-mixed and make it yourself flour blends. I have tried some of them before but not with a quick bread.